The Library at Mount Char, Scott Hawkins's debut novel, is strange and complicated and convoluted. But with a little trust in Hawkins's world-building, readers can acclimate to the book's fantastical elements. What emerges from the first chaotic scenes is a dark and philosophical novel about the nature of power and control, cruelty and humanity. Carolyn has always lived in the same suburban development. After her parents were killed, she (along with other newly-orphaned children in the neighborhood) was taken in by a powerful man, Father, and the small group lived an isolated existence inside their community. Father lacked paternal instincts, but had a wealth of knowledge to offer: his vast learning, collected in the Library, gave him god-like powers, and each of his adopted children was assigned one catalogue within the Library to master. After years of study, each child has grown to a young adult, master of their catalogues (War, Death, Languages, etc.) but estranged from what normal life might look like. When Father goes missing, the Library--and all of the power that comes from it--is left unguarded. Carolyn draws on all of the knowledge she has amassed within her catalogue and outside of it to make the Library hers. It sounds strange because it is: Hawkins has built a world within our own that is entirely foreign and yet, with a bit of effort, understandable. 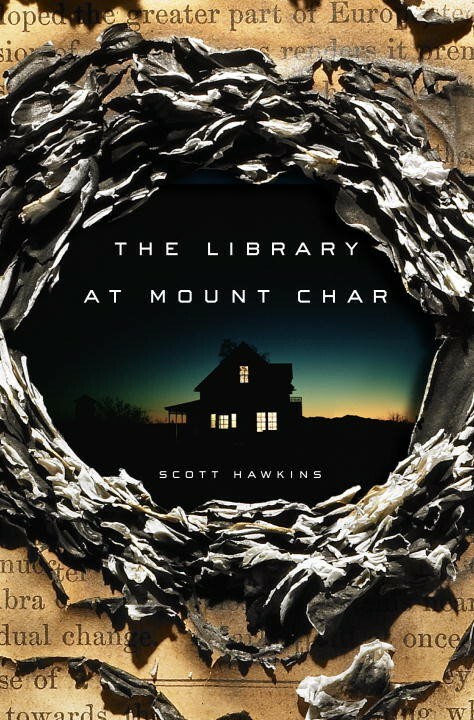 At times humorous, more often dark and frightening, and always fast-paced, The Library at Mount Char is an epic fantasy novel that is remarkable for its imagination and originality. This sounds waaaay outside my wheelhouse, but I'm intrigued! I have to read this. It's popped up on two different blogs in less than twenty-four hours! So very, very excited to dig into this one on the airplane tomorrow! It's been taunting me for days.